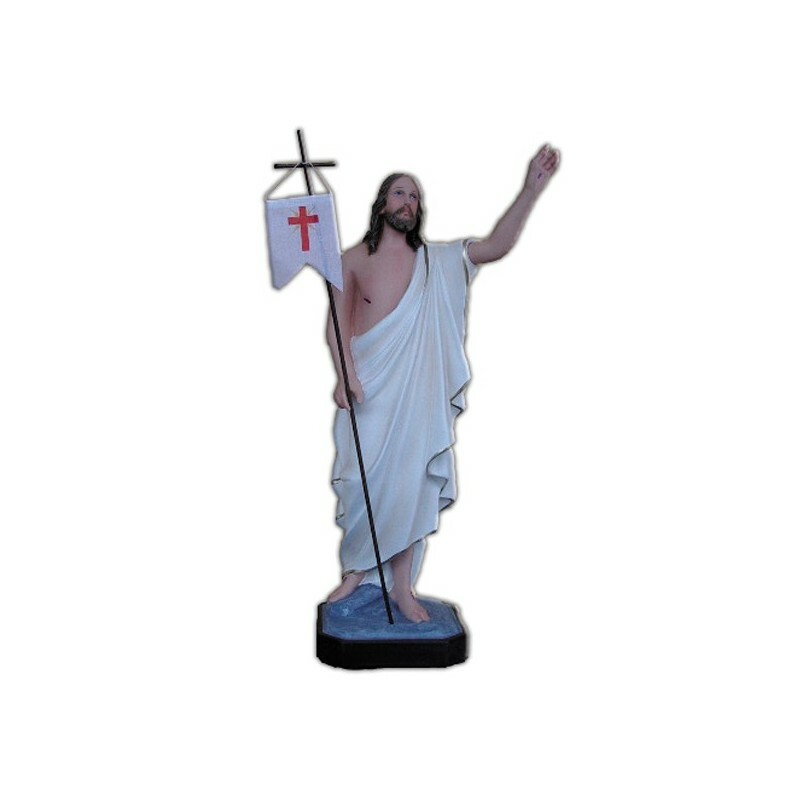 Statue of Resurrected Jesus 50 cm. The Resurrection is the most important event and it is told in the Gospels and in the New Testament. They tell us that on the 3rd day after the Jesus death, he resurrected leaving the empty sepulchre and he appeared to the disciples and to the Apostles. In Christianity this event represents the base of faith and religion and it is commemorated on Easter and on Sundays. 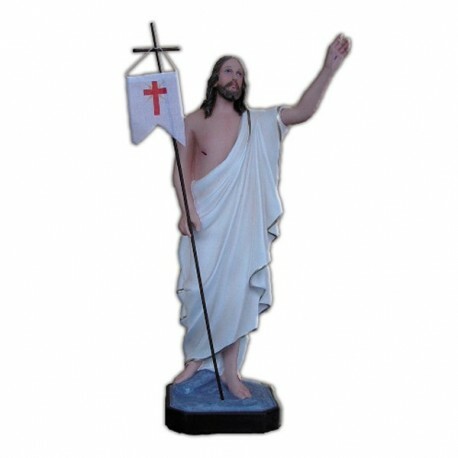 The Christ is half-naked illustrated, covered by a white cloth. 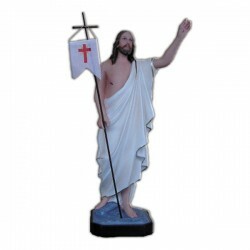 He bears a white drape with a cross. He is represented while rising to the sky.